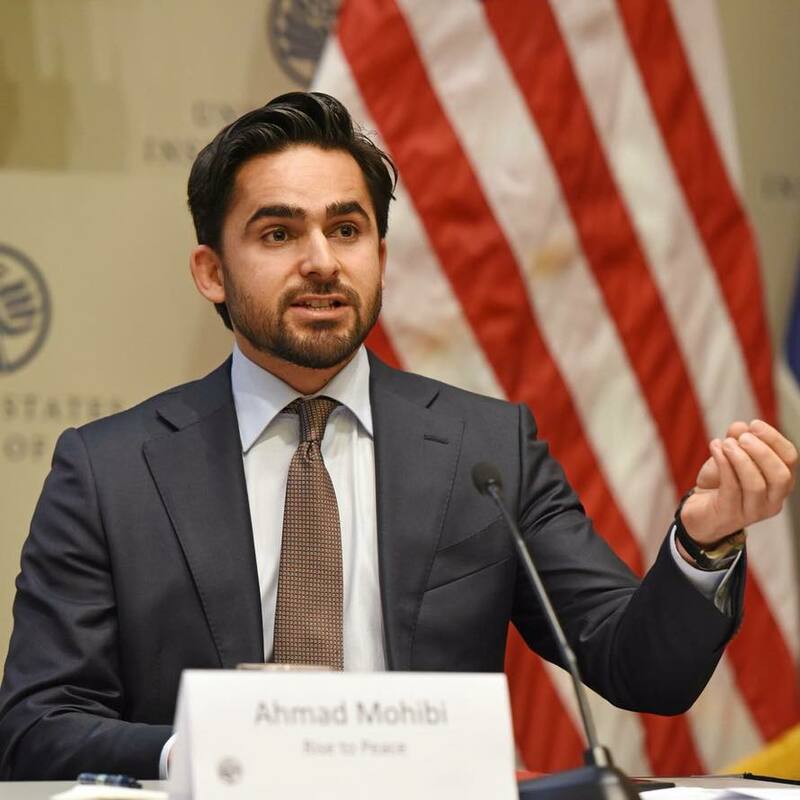 “Violent extremism knows no boundaries.” That was the message that Rise to Peace founder Ahmad Mohibi used to open “How to Counter Violent Extremism,” the latest Rise to Peace panel discussion, which took place this Tuesday at the Elliott School of International Affairs. 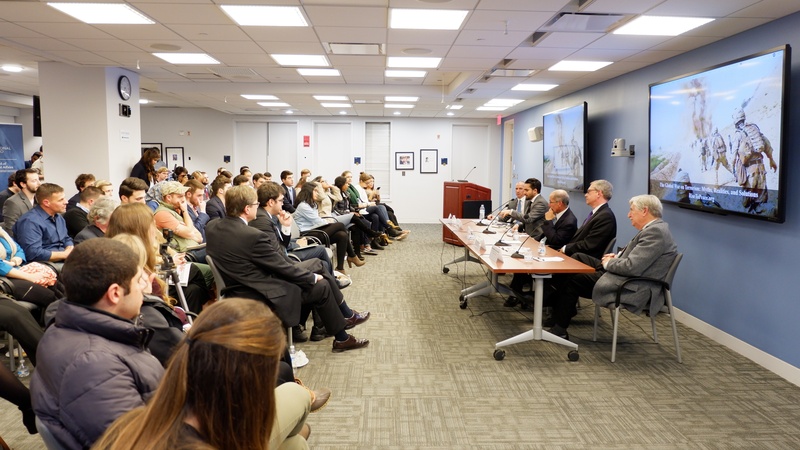 With that in mind, the panelists – Leanne Erdberg, U.S. Institute of Peace; Jesse Morton, Parallel Networks; and Edward Burkhalter, U.S. Department of State – offered their perspectives on the best ways to counter violent extremism. 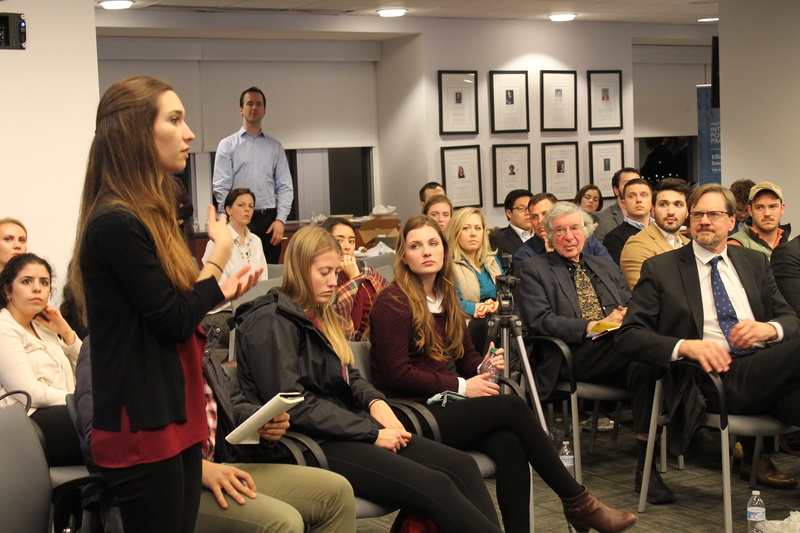 The panel’s first challenge was defining extremism and terrorism. Leanne Erdberg offered a legal definition: terrorism is limited to action, while extremism also includes violent thoughts. Jesse Morton focused on the definition’s practical implications. Terrorists, he poses, are cemented in their action, and thus countering terrorism is necessarily catching and punishing those who commit violent acts. An extremist is undergoing a cognitive radicalization process and can pulled away from extremist movements. Counterterrorism, he says, is the realm of law enforcement, but CVE is more complicated, and requires the engagement of more stakeholders. Conversation then moved to how the problem of extremism has grown. Jesse Morton observed that mainstream media informs social media radicalization. For example, Islamophobic narratives in news media fuels polarization narratives used by radicalizers online. In a similar vein, Edward Burkhalter noted that A 24-hour news cycle can make problems seem more severe than they really are, and it is important to focus discussion on proven research. 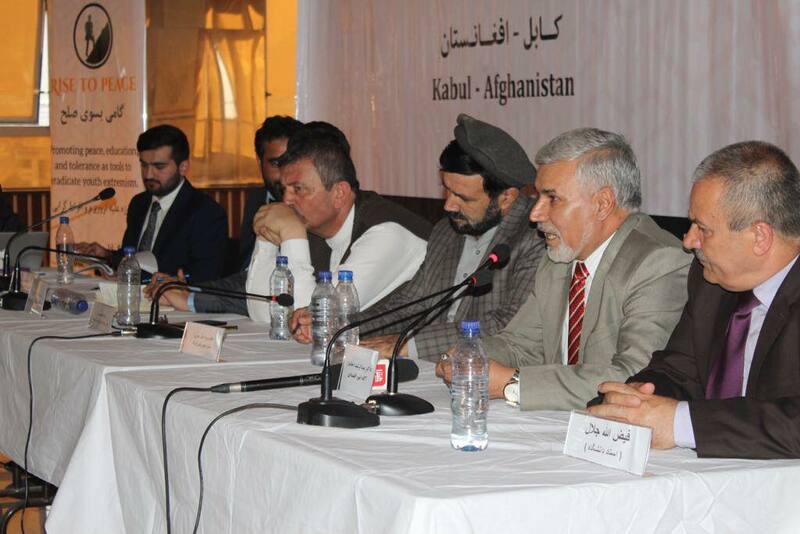 Panelists then discussed the shortcomings of past efforts to curtail violent extremism. Jesse Morton provided historical background by discussing the roots of the “hearts and minds” in marketing campaigns and advertising. Leanne Erdberg built on this theme by questioning the framing of programs and success in general. She argues that CVE that operates within an advertising scheme, which treats the communities they serve as an audience rather than giving them agency over the process. Programs that abandon that approach and instead emphasize people taking their future into their own hands are more empowering and more successful. 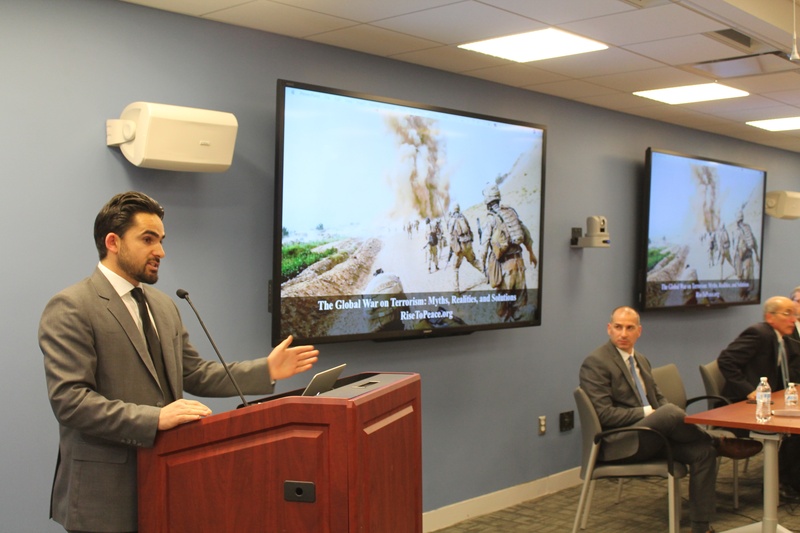 Ahmad Mohibi discussed CVE shortcomings in the context of Afghanistan. He said that CVE is impossible without trust, and in Afghanistan the trust between the Afghan and American government and the Afghan people is lacking. As long as people feel disconnected and distrustful of their leaders, extremism will continue. Edward Burkhalter provided a U.S. government perspective, acknowledging the futility of trying to improve a community without consulting its members. 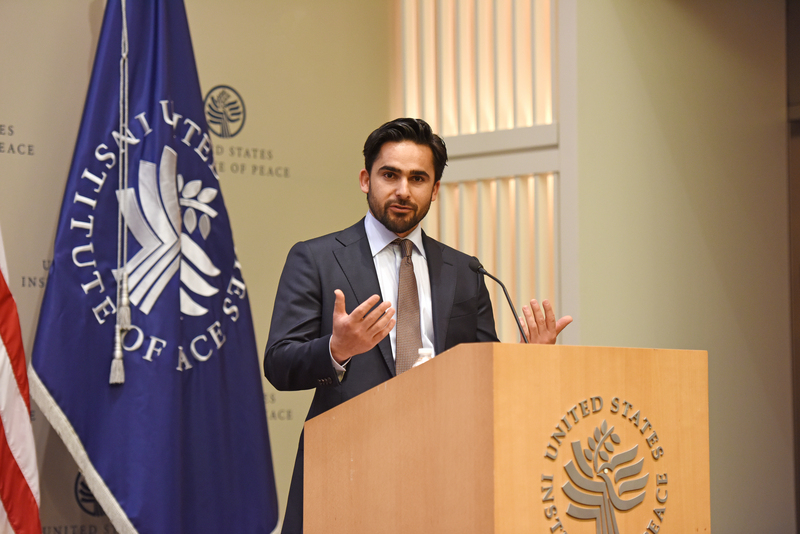 He elaborated, saying that the U.S. tries to follow a “do no harm” approach, and be sure that CVE or development efforts do not have unintended consequences. The only way to accomplish that is by relying on local partners.